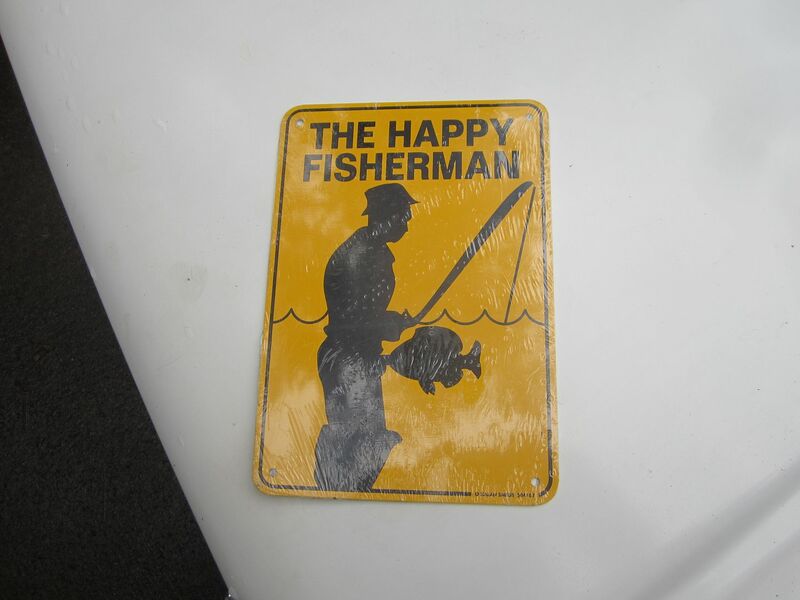 The Happy Fisherman. Took me a couple seconds to actually see it, LOL. Found it in one of my parts cars. $15 + shipping (which will be cheap, since I can put it in a padded envelope). Perfect to hang up on your shop wall! Located in Parksville, BC, Canada. You grab a line, and I'll grab a pole honey, honey. We'll head down to the fishin' hole babe. Haha. I said "grab a pole!"